Depressed senior man, blurred background. Old man in full despair, slow motion. Concept of hopelessness, loneliness and desperation. Desperate nervous businessman, blurred background. Depressed senior entrepreneur with hands on face. Emotion of desperation. Desperate mature man, blurred background. 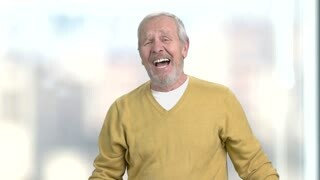 Depressed senior man gesturing with hands. Human emotions of despair.